Expat health insurance is important for several reasons. Expats (and their families) living overseas for several months, or longer, must have health insurance. This type of medical insurance will offer you great health care services, no matter where you are. If you are in a country where the local health care system is not very good, you will always have your private medical insurance to rely on. Even if you are in a country where health care services are great, you may find these too expensive. In that case, your private medical insurance will cover you for less money. Some countries require expats to have private medical insurance (it is mandatory). It is very important to know exactly what kind of medical insurance you and your family need. There are different plans, and not all of them will cover you in the same way. 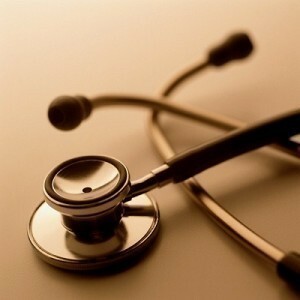 The prices are also different, depending on the type of medical insurance you choose. What can your insurance plan offer? What treatments can it cover? This is very important, because you can never know what kind of treatment you’ll need. Your insurance company must have extensive experience in this field. It is very important to hire a company you can completely rely on at all times. Most insurance companies usually incorporate exclusions, which can be general or can be excluded specifically for the client. ♦ Application is the Medical Questionnaire and Application form you will fill out. ♦ Anniversary date is actually the date when your international insurance will be renewed. ♦ Acute serious condition is determined after the company’s medical professional and the attending physician agree that such condition exists. ♦ A claim can be described as the financial demand that will be covered partially or totally by the insurance. ♦ Inpatient is a medical treatment or surgery in a hospital, which usually means that a person will have to stay overnight. ♦ Outpatient is a medical treatment or surgery in a clinic, but the patient will not occupy a bed. ♦ Policy schedule includes all the details, such as the type of medical insurance and specific terms. ♦ Region is the area of cover. If you want to be covered in several regions, you can purchase a global health insurance policy. Family plans are created for expat families. The quotes for family health insurance may vary, depending on which country you’re in. Most family plans are made to last one year, and they are suitable for family members of all ages. Even if you move to another foreign country, your family will be still covered. In most cases, these plans include chronic conditions, dental, maternity, and accident cover.